Hillary, US First Responder to Chilean quake..
We are closely monitoring reports from Chile and across the Pacific rim, and our thoughts and prayers are with all those who have loved ones affected by this tragedy. The United States stands ready to provide necessary assistance to Chile in the days and weeks ahead and is coordinating closely with senior Chilean officials on the content and timing of such support. Our Embassy in Santiago has established a command center and is working to ensure the safety of any affected American citizens. I leave for the region tomorrow and will be in close contact with President Bachelet and other leaders. Our Hemisphere comes together in times of crisis, and we will stand side by side with the people of Chile in this emergency. This statement from the Bureau of Consular Affairs provides information for those affected by the earthquake and related events. Sat Feb 27 2010 17:13:46 GMT-0500 (Eastern Standard Time). * A large earthquake shook Chile at 3:34 a.m. with its epicenter in Chile’s 8th district, 73 miles north of Chile’s secondmost populous city Concepcion and 197 miles south of Santiago. At the epicenter, the quake was measured at 8.8 Richter, at 7.5 in Santiago and shook for an estimate 3 minutes. * There have been no reports of American citizen fatalities or injuries. As telephone and email communication becomes dependable, it may be easier to contact family and friends in Chile using SMS (Cell text message) or other forms of social media such as Twitter and Facebook. * If you are concerned about a U.S. citizen in the affected area and have not been able to reach that person, you can contact the Chile Task Force by email at ChileEarthquake@state.gov. or by calling 1-888-407-4747. Please provide as much information about the individual (full name, birth date and birth place, location and contact information in Chile, any special circumstances) to assist us in locating the U.S. citizen. * Chilean officials are asking that, unless there is an emergency need to leave, private citizens should remain in their homes, if not damaged, and stay off the roads. * The following is a link to the FEMA website with instructions for what to do after an earthquake: http://www.fema.gov/hazard/earthquake/eq_after.shtm. • Expect aftershocks. These secondary shockwaves are usually less violent. • Listen to a battery-operated radio or television. Use the telephone only for emergency calls. • Open cabinets cautiously. Beware of objects that can fall off shelves. • Stay away from damaged areas. Return home only when authorities say it is safe. • Help injured or trapped persons. Remember to help your neighbors who may require special assistance. • Clean up spilled medicines, bleaches, gasoline or other flammable liquids immediately. Leave the area if you smell gas or fumes from other chemicals. • Inspect the entire length of chimneys for damage. Unnoticed damage could lead to a fire. • Inspect utilities: Check for gas leaks, look for electrical system damage, check for sewage and water lines damage. Americans living or traveling in Chile are encouraged to register with the nearest U.S. Embassy or Consulate through the State Department’s travel registration website, https://travelregistration.state.gov/ibrs/ui/ so that they can obtain updated information on travel and security within Chile. Americans without Internet access may register directly with the nearest U.S. Embassy or Consulate. By registering, American citizens make it easier for the Embassy or Consulate to contact them in case of emergency. The Chile earthquake triggered tsunami warnings for the entire Pacific basin. Warden messages are going out to U.S. citizens who have registered their presence with Embassies in the affected countries. and http://www.cnn.com, as well as local news sources. Secretary of State Hillary Rodham Clinton will celebrate International Women’s Day with two events on March 10th in Washington, D.C. During the day, Secretary Clinton will host the annual International Women of Courage Awards at the Department of State. In the evening, Secretary Clinton will present an award at the ninth annual Vital Voices Global Leadership Awards at the Kennedy Center. Information on additional events in recognition of International Women’s Day will be forthcoming. 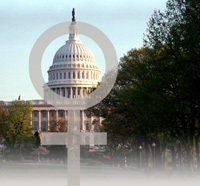 Secretary Clinton will host the annual International Women of Courage Awards on March 10th at the Department of State. Then-Secretary Condoleezza Rice established the annual International Women of Courage Award in March of 2007 to recognize women around the globe who have shown exceptional courage and leadership in advocating for human rights. This is the only award within the Department of State that pays tribute to outstanding women leaders worldwide. It recognizes the courage and leadership shown as they struggle for social justice and equal rights. The International Women of Courage Awards will be open to the press. Additional details will be forthcoming. Secretary Clinton will present an award at the ninth annual Vital Voices Global Leadership Awards on March 10th at 6:30 p.m. at the Kennedy Center. Secretary Clinton founded the Vital Voices Global Partnership, a leading international NGOs dedicated to supporting emerging women leaders, after the United Nations Fourth World Conference on Women in Beijing to promote the advancement of women as a U.S. foreign policy goal. This year marks the fifteenth anniversary of the Beijing UN World Conference on Women. Secretary Clinton will present the Global Trailblazer Award to Melinda Gates of the Gates Foundation. Other presenters include Vital Voices Honorary Co-Chair Senator Kay Bailey Hutchison, Ambassador-at-Large for Global Women’s Issues Melanne Verveer, FDIC Chairman Sheila Bair, Avon Global Ambassador Reese Witherspoon, Avon Chairman and CEO Andrea Jung, NPR’s Michele Norris, New York Times Columnist Nicholas Kristof, CNBC’s Suze Orman, Academy Award-winning Actress Sally Field, Artist Angelique Kudjo, Businesswoman Shelia Johnson, Vital Voices Chair Susan Davis, Vital Voices Vice Chair Bobbie Greene McCarthy and Vital Voices CEO Alyse Nelson.